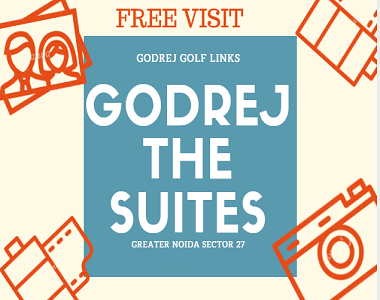 The iconic realty giant Godrej Properties feels proud in introducing you its novel residential launch by the name of Godrej The Suites, stationed comfortably at Greater Noida. The property is a part of a 100-acre township project which is well-planned and conceptualized and is full of world-class amenities and comforts. It is slated to have the best infrastructure in Delhi NCR and will add to the pride and confidence of its occupants. A brigade of best architects and designers has been roped in to build and develop this realty gem and latest construction methods and top-quality materials are being used for the same. The magnificent property offers fully furnished studio apartments and 2 BHK configuration sets of different sizes and area. The size of the apartments starts at 722 sq. ft. and extend up to 1325 sq. ft. in order to match the tastes and preferences of all age groups. The great and impeccable designing and planning of this architectural marvel enthralls its residents and makes it a not-to-be-missed investment opportunity. The homes offer green panoramic golf views and have been built taking care of minute details and all types of intricacies. The apartments are Vaastu-compliant and packed with features of comfort and convenience right from the start to finish. 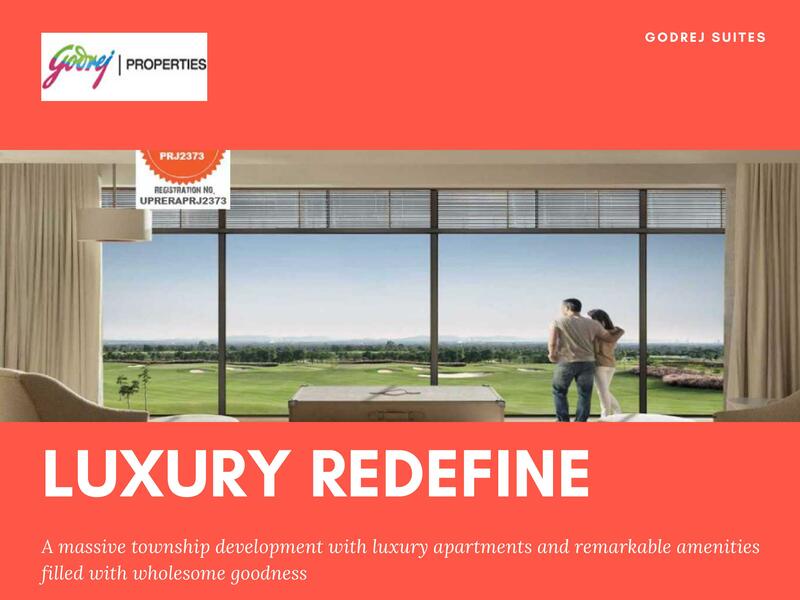 Godrej Golf Links The Suites offers you a multitude of top-notch features and facilities that let you enjoy a grand and luxurious lifestyle. 25 acres of dense green zone and organic 9-hole golf course acts as an icing on the cake. The other state-of-art community amenities included are a leading clubhouse, exclusive play area for kids, blue water swimming pool, skating area, climbing wall, open-air theatre, sandpit, multiple sports facilities, well-equipped gym, power back up, lift and intercom, efficient car parking and wide lungs of well-manicured open spaces that besides adding to the beauty of the project lets you socialize in the neighborhood or lets you spend some time alone in solitude. 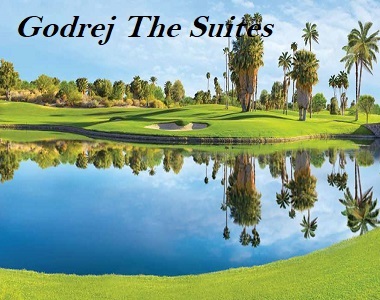 Godrej The Suites Greater Noida price is a world of your dreams coming with a decent and affordable price tag. The stately apartments are available at prices starting from Rs 38 lakhs for Studio Apartments and going up to Rs 70 lakhs for 2 BHK+Study. This noble property is rightly coming up in an unbeatable location of Greater Noida next to Pari Chowk. It provides flawless connectivity to Greater Noida Expressway and Yamuna Expressway and has Buddh International Circuit in close proximity. The upcoming metro project which is under construction shall enhance the connectivity and will be an added advantage for the residents of the place. The project site is well-connected to Sector 18, Noida, Akshardham Temple and Kalindi Kunj Delhi. 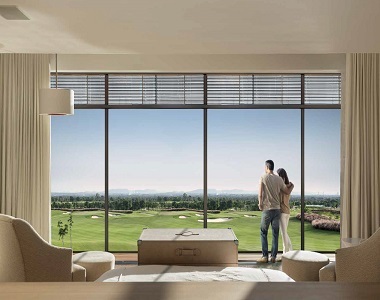 Thus, Godrej Golf Links Apartments are a perfect place to live in. They are a complete value of money and a profitable investment option assuring huge returns in future.